Usually made of titanium, a dental implant is a replacement tooth root. It is a device that provides a strong foundation for either fixed (permanent) or removable replacement teeth (crowns, implant-supported bridges or dentures). Here are a variety of benefits associated with dental implants (as compared to poor-fitting dentures). They are similar to the feel of your own teeth, do not interfere with an individual’s speech, provide a comfortable fit, make eating easier, may help raise a person’s self-esteem, offer long-term oral health, maintain durability, eliminate the inconvenience of removable teeth replacements as well as the potential for messy adhesives. Dental implants may be the perfect solution for some people, while dentures or more appropriate for others. By discussing your goals with Dr. Naik, you will learn which option will provide you with the best result. There is no right or wrong solution; it is what works best for you and your lifestyle. During your consultation with Dr. Naik, an esteemed Moreno Valley dental implants provider, you will learn not only how this treatment is beneficial to your appearance and oral health; you will be able to become familiar with the steps involved. He and his team of dental professionals will prepare an individualized treatment plan for your implant surgery. With this process, prior to surgery, Dr. Naik will have already made an impression of your teeth and a model of your bite. Your new tooth/teeth will be based on this model, which has captured everything about the teeth, including their type and arrangement. What Type of Patient Qualifies for Dental Implants? First, the titanium post will be placed into the bone socket of the missing tooth. 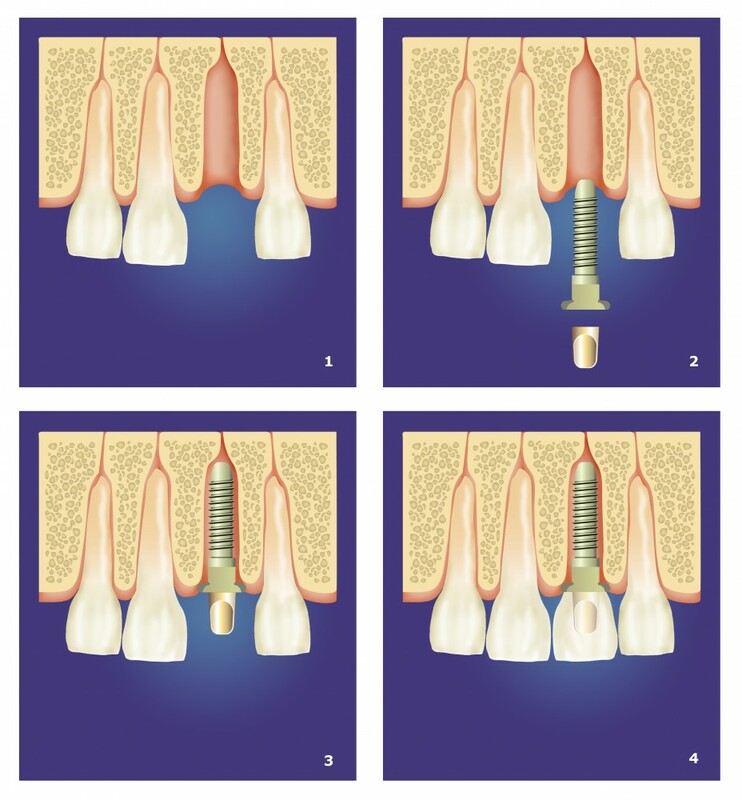 Then, after the implant has been bonded to the jawbone, Dr. Naik will attach a small connector post (“abutment”) to securely hold the new tooth in place, before a replacement tooth (“crown”) is attached to the abutment. The overall healing process can take between six and 12 weeks; and as the jawbone heals during this time it will grow around the implanted metal post. This naturally helps to secure the implant to the jaw. Dr. Naik ensures a beautiful, natural-looking outcome, as the color of your new teeth will match the color of your natural teeth. Patients are also happy that their replacement teeth look, feel, and function just like their originals. With the exception of growing children, dental implants are an effective solution for individuals of all ages. Essentially, ideal candidates for this treatment should have healthy gums and enough bone to anchor the implants in the jaw. Those who smoke and/or have diabetes or periodontal disease may not qualify. Typically, there is very little discomfort associated with this procedure. In order to prevent any pain during surgery, a local anesthetic will be used. Any mild discomfort after surgery can be controlled with certain over-the-counter medications. It is important to practice good oral hygiene, with or without dental implants. This includes brushing, flowing, and regular dental check-up visits at the dentist’s office. Overall, dental implants require the same type of care that real teeth require; however, you may learn about the type of brushes that can be used to clean behind and below the artificial replacements during an appointment with Dr. Naik.